It’s been some time since I wrote an update about our Slic3r Prusa Edition development. 352 commits on the GitHub project to be more specific since the release of the Smooth Variable Layer Height feature. Since then we were mainly focusing on solving bugs and adding features for our Multi Material upgrade. But first, let’s do a little recap of the more notable additions. Version 1.33.3 introduced Smooth Variable Layer Height. 1.34.0 came with parallel processing and up to 4 times faster slicing, smoother g-code preview and a better memory usage. 1.35.1 was the first version to make multi material printing easier thanks to the integrated Smart Wipe Tower. Users previously had to use external post processor to generate the tower. Different extruders can also have a color assigned making the g-code preview accurate. 1.35.3 brought a better 3D scene manipulation. 1.35.4 enabled loading settings from sliced g-code files and added “Split part” button in the object setting. It enables you to print parts of the multi object stl with different materials. So now we got to the latest version 1.36.2 which improves printing with water soluble supports. You have three ways to print with support. 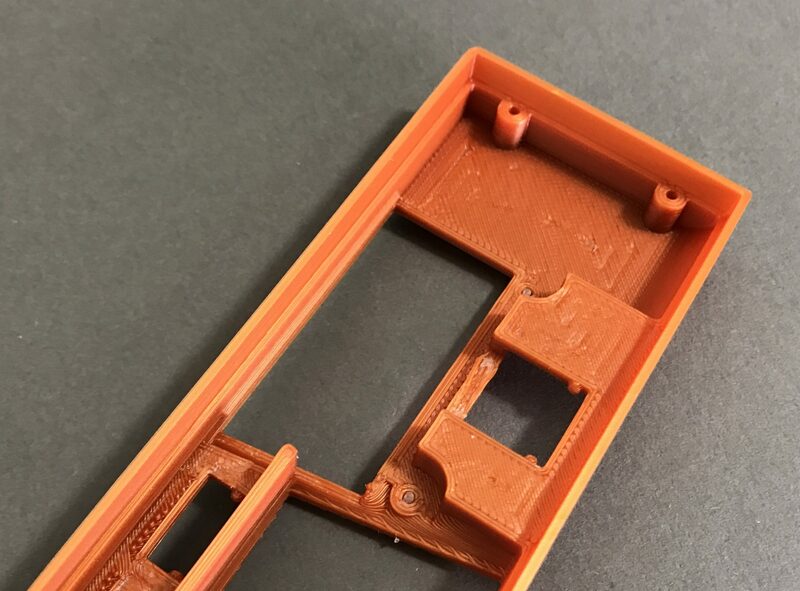 Basic supports from the same material as on regular MK2/MK2S, water soluble supports everywhere and water soluble only on the interface layers. 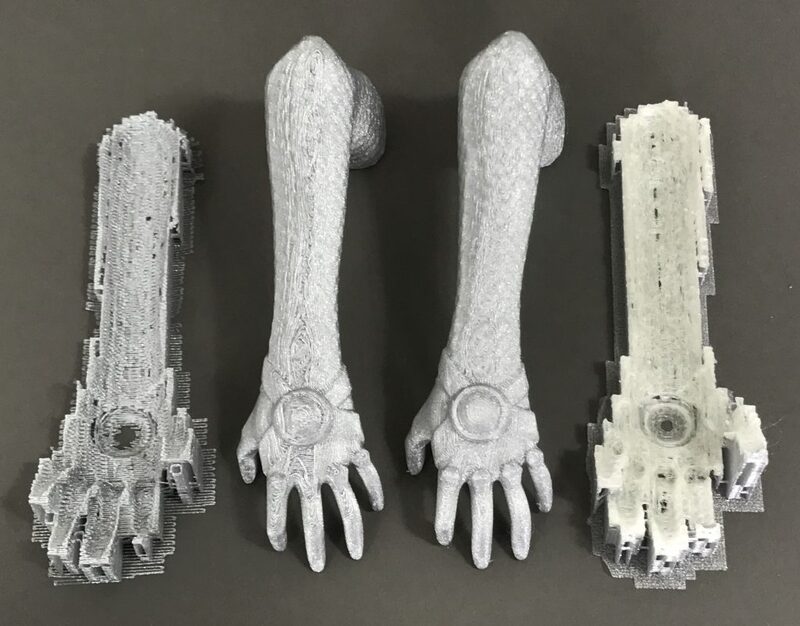 You can see all three methods below on the prints of Pegasus. Same supports as on the regular MK2S, keeps the ability to print 4 materials/colors and it is very cheap as a regular material is used. The finish of supported surfaces isn’t always as pretty. 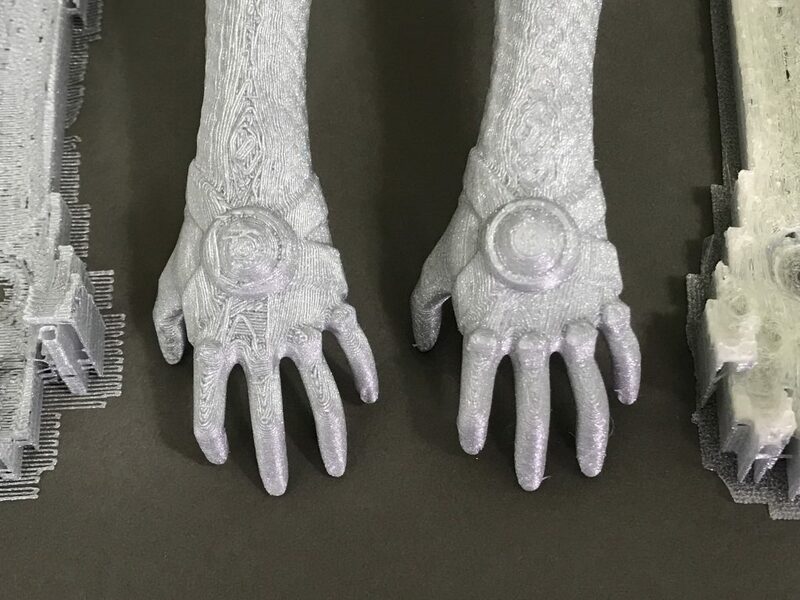 Water soluble materials (BVOH in this case) produce much better surface finish on the supported side, comparable for example to the top side of the model. Some objects require a lot of supports rendering this method very expensive. Water soluble material needs to be placed in the extruder 4 and use NORMAL SOLUBLE FULL print settings. Using a water soluble material only for support interface layers brings the best of both worlds where majority of the support structure is printed with a regular cheap print material and you still get the amazing surface quality as with the full soluble supports. This cannot be used on objects with supported inaccessible internal geometries as insoluble parts of support would remain trapped. Again water soluble material needs to be placed in the extruder 4 and use NORMAL SOLUBLE INTERFACE print settings. During our testing we stumbled upon two materials which work incredibly well with Multi Material. First is BVOH from Verbatim and second is PVA from Primaselect. We carry both on our e-shop. Other soluble support materials we tried were very stringy and occasionally jammed the multiplexer. BVOH compared to regular PVA produces much less stringing and can be basically printed with PLA print settings. It is very easy to use and doesn’t absorb air humidity as much as PVA. A nice little bonus is that most of the time it can be easily and cleanly broken off the model so you do not have to messily dissolve it in water, or break away the most and dissolve just the stubborn stuck pieces. Primaselect PVA proved to be almost as good as BVOH but absorbs the air humidity faster and introduces a tiny amount of stringing. Always store the water soluble materials in a sealed bag with some desiccant. Download the latest 1.8.0 drivers with Slic3r PE 1.36.2! Glory / Turbo Designed by Jonathan Vargas (rokkuroxxas). Driftwood with Ball by stevemedwin. Big Whale Jumping by GabrielYun. Gyro the Dodo – Ultimaker Special by Stijn van der Linden. 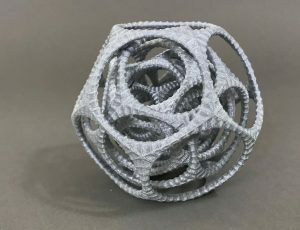 This article resonates, I have just recently started experimenting with the Prusa Slic3r and supports. I have just sold my Hictop 3DP-17 which I had spent much effort on upgrading, after hardware and firmware improvements and finally slicer settings I started to get pretty good prints. As a side note, sold the Hictop because I decided I wanted the Prusa quality and calibration capability with the firmware being taken care of by the experts so that I can get on and print. I have learned a lot but I am looking forward to the arrival of my MK2S kit and later the MMU kit. I would like to say that although Slic3r is great, and has recently improved with regard to supports, it still leaves a lot to be desired. It is difficult to fine tune and work out what setting is affecting what in terms of the supports that get generated. 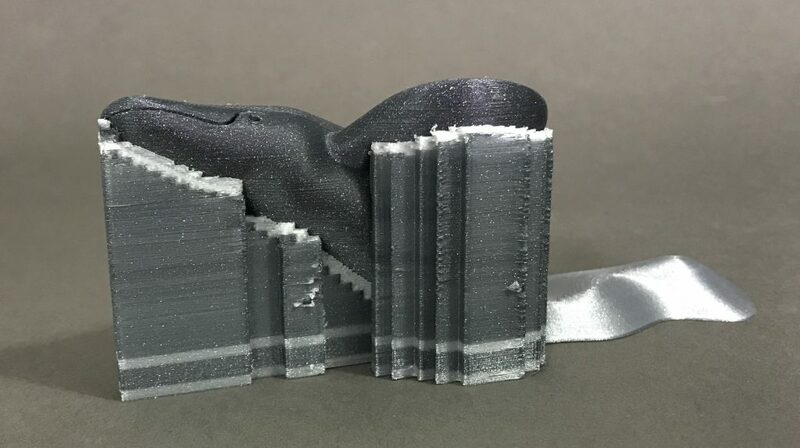 It is often difficult to remove supports, when slicing https://www.thingiverse.com/thing:1132995 (pass through https://service.netfabb.com/service.php to fix the stl) I have even had it add little bits of useless material that came off the bed (when I achieve great adhesion with PEI) because the gcode produced made the head wiggle and it just balled up. It was impossible to print so I used Cura and got better results, particularly not covering the part to support a higher up overhang that had a lower surface to build support from. 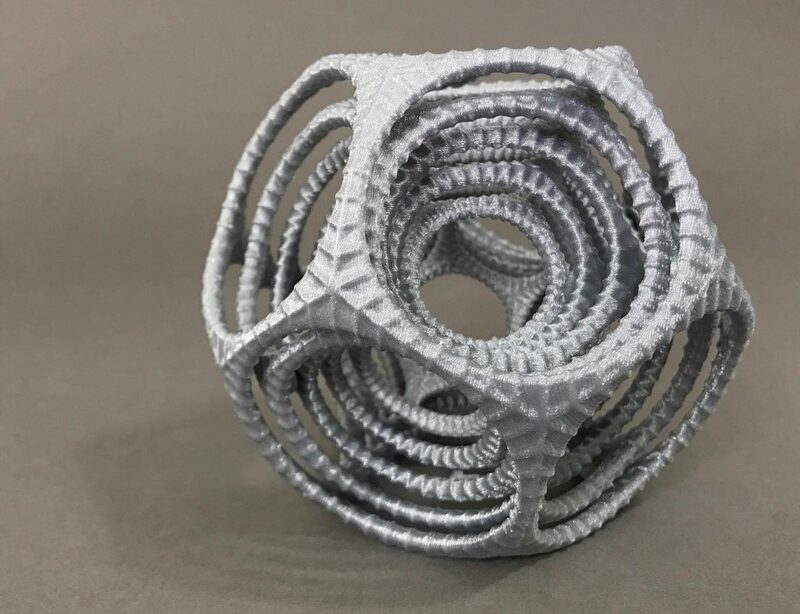 I have heard of KissSlicer and Simplify3D but want to stick with Prusa Slic3r as I will want to use it when I have a Prusa printer and because some cost extra. I have recently heard of IdeaMaker too but not tried it. I am writing this in the hope that Josef and his team could be inspired to radically improve the support capabilities in Prusa Slic3r based on ideas from trying some of the above-mentioned tools and other radical thinking. The recent bug fixes help but I think there still may be bugs and big improvements that could be made. 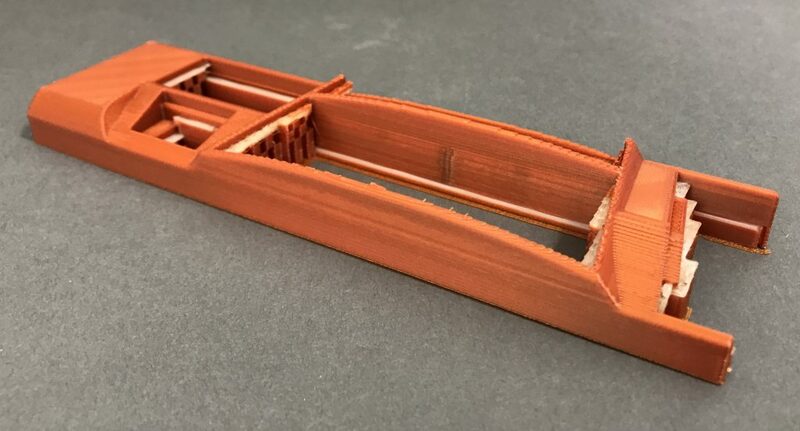 I think the capability to manually add supports would be great but even to improve the current auto generated supports to be good enough but easy to remove, easy to tune and add useful supports rather than a ton of extra material just to support a simple hole. Basically, the options are too cryptic and fiddly and difficult to relate to how the layer view changes. I think some kind of GUI functionality to place supports or add/remove a bit like the layer editor is needed. Whilst soluble supports could really boost 3D printing, particularly I like the idea of mixing PLA and soluble to reduce cost, I think there is plenty of mileage in PLA supports done right. People swear by Simplify3D but it is expensive for a hobbyist. Keep up the great work Josef ! Thanks Josef! Really nice indeed. 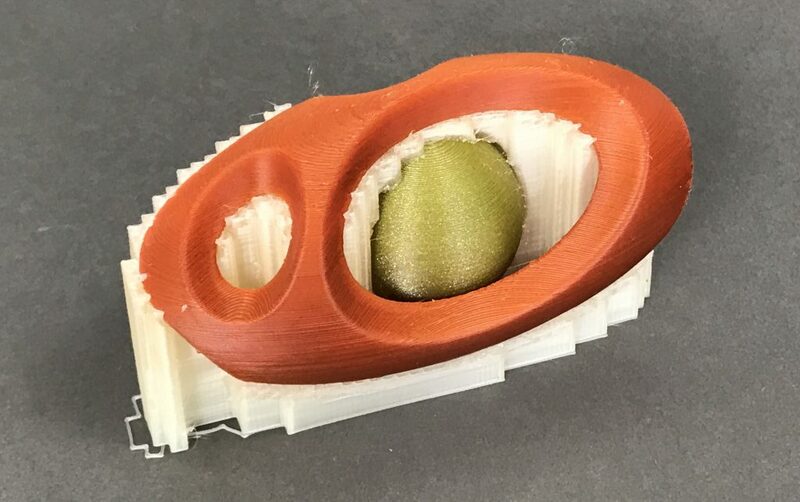 From now on a big advancement would be having a slope-sensitive support/infill engine in order to gain speed and material – both of them badly needed on the market today. There are others which are already working on these. Remember your relativity, keep on good work and keep an eye on the competition! This is why I bought my MK2s, amazing stuff as always Josef! Can you tell me what is that Jesus model at 1:49? This possibility is why I have ordered my printer. It is a giant step forward. 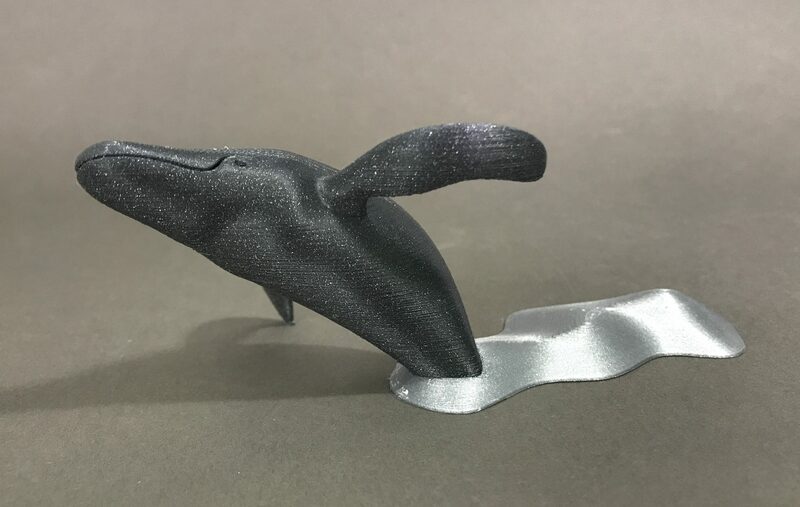 Please provide information on how I use watersoluable support on my prusa i3mk2s. What upgrade if my is needed. 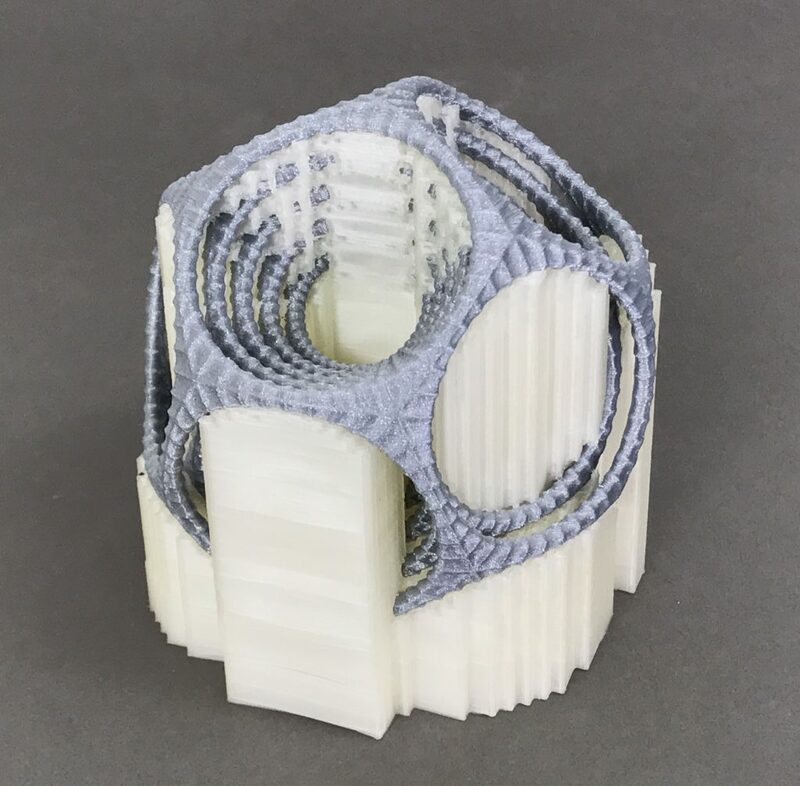 I really want to buy the multiple material upgrade….2 material.. so that is 1 more extruder and motor….the 4 costs 299.00 why does the dual cost 250?? that is just one other extruder and motor? regular MK2S has 1 motor and one 1 hotend (= 1 material), dual Multi Material has 2 motors and one hotend (= 2 materials), quad Multi Material has 4 motors and 1 hotend (= 4 materials). The difference between dual and quad is mainly in the number of motors. Electronics and other parts are mostly the same.